We are living in a constantly changing, complex, interconnected world. We are seeing all kinds of connected devices all around us both at home and at the enterprise. All these connected devices create enormous amount of data, Big Data. The great challenge facing us is what to do with it. How to make it useful. 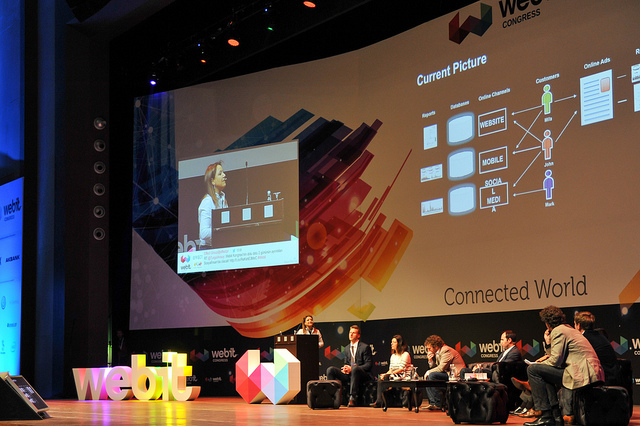 At the blue track of the Global Webit Congress we are presenting speakers from leading companies that will discuss trending topics like Big Data, Big Cloud, Connected Devices and IoT. Consumers are using more and more mobile devices in their everyday life. Smartphones and tablets are connecting us to the world around us. The new trend of “wearable “connected devices are linked to our mobile phones and tablets and can measure and transmit via sensors all kind of data. At home, we see ordinary devices like thermostats, lights, garage doors and kitchen appliances all becoming “smart”. These devices are connected and can be controlled with a smartphone. They have the ability to autonomously adjust settings, alert users based on information and sensors from other devices both within the home or on our wrist. All these connected devices interact with each other and create Data. Lots of it. At the enterprise level, the trend is of using smartphones and tablets for business needs. Enterprises see this as an excellent way to increase employee effectiveness. This creates a lot of data and enterprises are looking for ways to use all this accumulated data for its business needs. To add to all this many industrial devices are also being connected and this is a future trend. Again, this creates data, big data. All data that we see accumulated has to be useful for both the consumer and the enterprise. It has to be stored, analyzed and automated. The Internet of Things (IoT) is creating a completely new ecosystem of interconnected devices both at home at the enterprise and all around us. In addition, all these connected smart devices are creating Big Data that is being stored in the cloud. The challenges ahead are how to make all this data useful. We are just in the beginning with many challenges ahead in making this data useful. It is not surprising that companies like IBM, Cisco, Qualcomm Ventures, Intel, Microsoft, Amazon, Google and many others are looking at real time solutions to store, share, analyze and automate this Big Data in the Big Cloud. 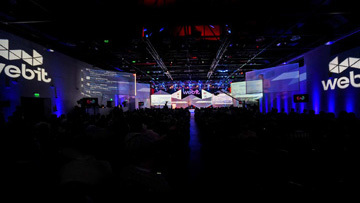 At the blue track of the Webit influential Founders, CTOs, CIOs of the worlds most innovative companies; disruptive startups, top talents, over 400 investors and 300 accredited media will take part in the Leaders of the Future tech discussion. Join them and get an early bird ticket now!